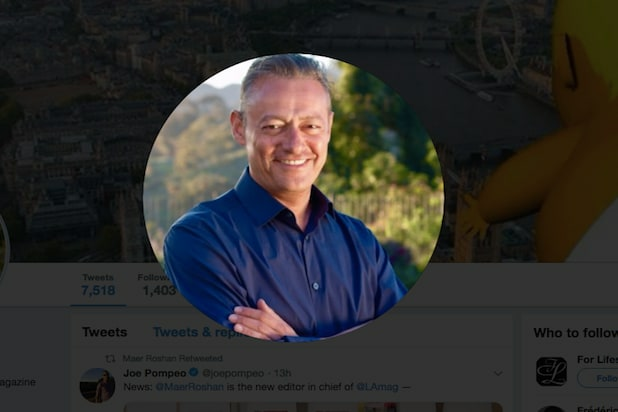 Maer Roshan has been named the new editor in chief of Los Angeles Magazine, the publication revealed in an article to their website Monday. Roshan, a longtime industry hand is most known for launching Radar in 2002 and before that serving as editorial director of Tina Brown’s “Talk.” He is also the founder of websites “Punch!” and “TheFix.com.” Roshan’s Twitter was already updated with the new gig as of Tuesday morning. In his own statement, Roshan said Los Angeles was the most dynamic city in America and that he was very excited for the opportunity to take the helm of the magazine. “L.A. has overtaken New York to become the most dynamic and influential city in America,” Roshan said. “It’s at the forefront of politics, tech, business, food, art, and fashion. Since the ’60s, Los Angeles has been a stylish, literate, and indispensable guide to the people, trends, and institutions that power the city. “I am excited by and grateful for the opportunity to build on that storied legacy and to create a magazine as smart and stylish and provocative as the city it’s named after,” he added.